The Peddlers of Asia is a 13-part real-life documentary about food peddlers of Asia , their untold stories, their secret recipe, their culture and their lifestyle. Food peddlers are a common sight in Asia. Every peddler has a unique human interest story to tell. Stories that reflect their culture, their economy, their lifestyle, principles and beliefs. Behind every wooden cart, is a colourful personality. Why do they choose to peddle food? What is the future for these food peddlers? Are we seeing the last generation of these food peddlers? What are their struggles? This documentary is a gut, honest insight of food peddlers. This documentary brings the camera into the local markets, villages, untrodden paths and even the back alleys of Asian countries to track down these food peddlers and document their life stories. The documentary unveils the personal lives and struggles, human interest stories of these peddlers. Where do they live? How much do they earn? What are their families like? Is it a family tradition to peddle food? Behind every peddler, is a host of stories just waiting to be told. 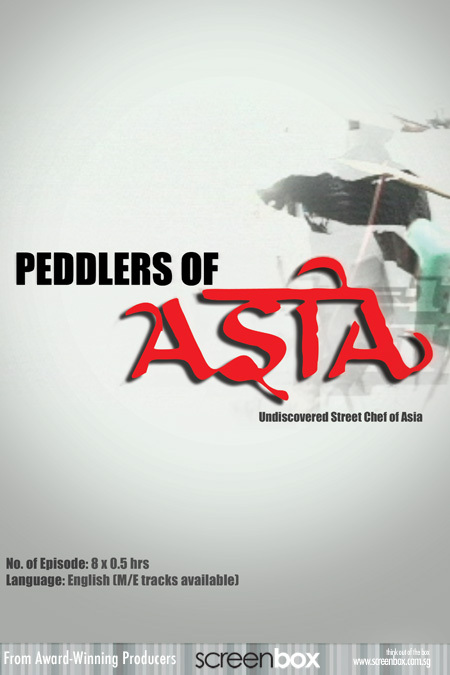 Meet the undiscovered Chefs in The Peddlers of Asia!